The Passport sports offers a QWERTY keypad alongside a 4.5-inch square display, which results in a ultra-wide 90.3mm footprint. Is the lack of one-handed capabilities too much of a sacrifice? Is having a square display actually a good thing? We get our hands on BlackBerry’s latest to find out. Right off the bat, the BlackBerry Passport’s dimensions are its most striking characteristic. 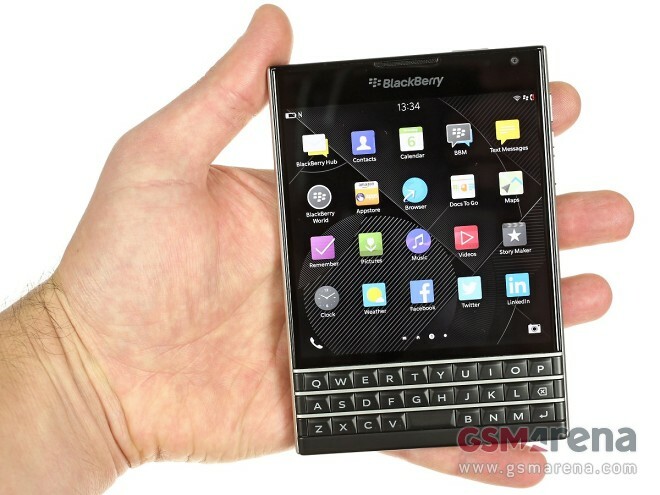 At 128 x 90.3 x 9.3mm, BlackBerry designed the Passport to take up the same dimensions as an international passport. There has to be something behind such a widespread design standard, right? BlackBerry continues the passport theme in the retail package as well: there’s a passport-shaped user manual and quick start guide that highlights its metal frame and the gesture support on the QWERTY keypad. There’s also a region-specific A/C adapter, microUSB cable, and headphones with extra earbuds. Under the hood, the Passport features a 2.26 GHz quad-core Snapdragon 801 chipset, Adreno 330 GPU, and 3GB of RAM. The Gorilla Glass 3-covered 4.5-inch display is of 1440 x 1440px, resulting in a pixel density of 453ppi. Coupled with a 3,450mAh battery, the Passport is the most robust BlackBerry to date. The Passport runs on the latest BlackBerry 10.3 platform. The newest version of BlackBerry’s OS features a more refined design strategy that moves it further away from its Android influence. It also squarely targets business users, and professionals should enjoy its robust office package, email, and messaging services. The Passport is also one of the few new BlackBerry’s to support the BlackBerry Blend desktop program. BlackBerry Blend lets you sync the Passport to any connected PC with Blend, and use many of the devices’ features from a desktop. Look for our full review on the BlackBerry Passport next week!